It is no secret that losing weight is one of the more common reasons for people to swim, run. walk or cycle recreationally. Different activities have a different impact on our waistline but there are some popular myths when it comes to losing weight while swimming. There were some coaches and personal trainers in the past that stated swimming is not as effective as running going as far as saying „If you want to lose weight, you’re better off walking around a pool than swimming in it”. So I want to start this post giving you more context including scientific results as well as some potential reasons for those myths about swimming. Australian researcher Kay Cox in 2010 has conducted a study on a group of inactive healthy women. One group started swimming and other walking with the same intensity confirmed by a heart rate monitor. After a year on average swimmers have lost 1.1kg more than the group that was walking. So let’s put to rest the myth that swimming is not effective when it comes to burning fat. As you can see, the factors like buoyancy effect and the lower temperature of the swimming environment comparing it to running do not make it a bad choice for those of us who want to lose some weight. At the same time, there are several things you have to keep in mind if you want to make it as effective as possible. 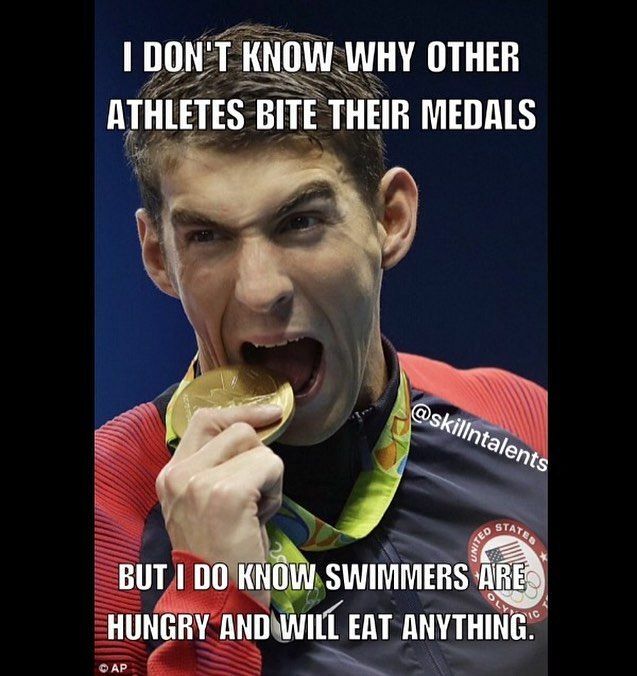 Cold water and an incredible amount of energy that swimming uses is the reason we are so hungry after a solid swimming training sessions. It might also be the downfall of your plan to lose a few pounds as you can simply overeat after swimming. That is why it is so important to plan your diet properly for your training days so you don’t waste all your hard work and effort. To lose one pound you need to burn around 3500 calories over your take in and both trainers and physicians agree that a combination of diet and exercise is the perfect way to get results faster. It is also recommended that you swim at least 2,5 hours every week when in process of losing weight, and an hour after that to keep the weight. To burn 3500 calories means you need to swim for about 7 hours so it is an achievable monthly goal for most of us. so don’t give up and be consistent and the success will come for sure. So how many calories you can burn per hour? 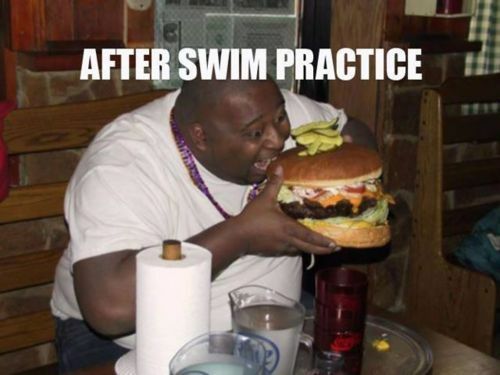 that depends on your own weight and your swimming skills but on average a 154 pounds person burns around 500 calories per hour of swimming when a 200-pound person will burn over 630 calories per hour of swimming. So this is actually a good news for those who are a bit heavier as they will start to see the results faster and it might be an awesome way to stay motivated and keep at it! What stroke should You use? The stroke that will burn the most calories is unsurprisingly the butterfly and you can burn even 150 calories in 10 minutes using this style. But, as you might now, this requires some swimming skills and most of us would have difficulty swimming with that stroke for 10 minutes. That’s why we recommend the next best thing which is freestyle – it is much easier to learn and to swim with and it is still a great choice if you want to lose some unwanted weight. 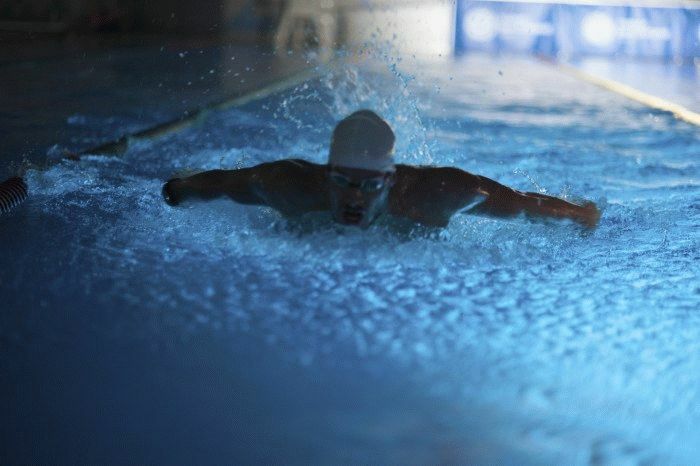 To maximize the calorie burn we also recommend to swim using the interval training program. It can be as simple as swimming as fast as you can for a lap and then one lap in a more relaxed way – this can really accelerate the fat burning process and this logic is widely used by runners and cyclists with great results. Hope that the info and tips included in this post will motivate you and help you improve your fitness by losing weight in a responsible and healthy way. We wish you all the success! Is swimming really a good workout?